September 10, 2018 - Found [here]. 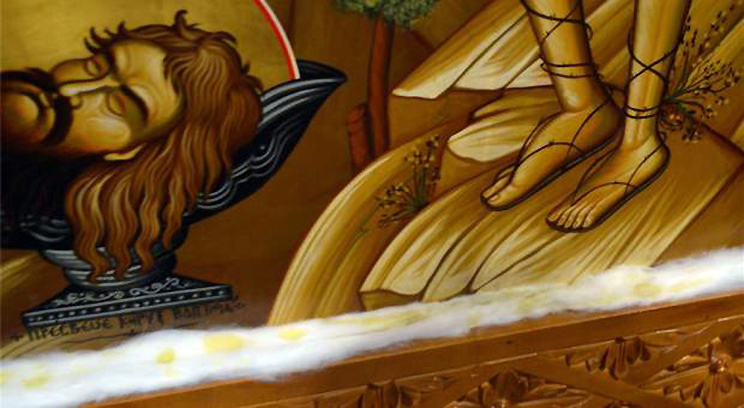 Cotton balls collect the oil at the base of the icon. The Rev. Sotirios Dimitriou, known also as Father Sam, has consistently given the oil-saturated pieces of cotton for believers to take home for themselves and loved ones, and he also mails them out to people around the world. 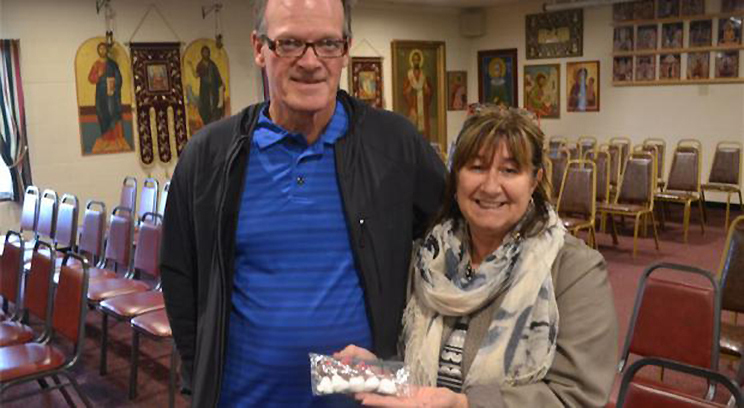 Rob and Flora Ceven stand with some of the cotton balls covered in oil during their visit at Assumption Greek Orthodox Church. The couple stopped by while visiting from Massachusetts. 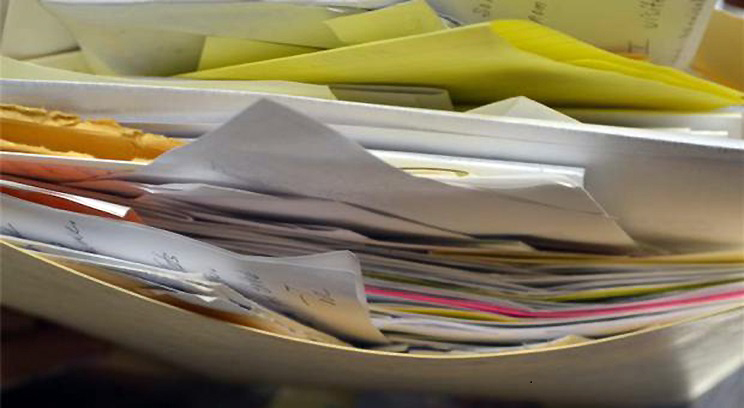 Letters from around the globe come to the Homer Glen parish, seeking some of the oil from the weeping icon, sharing testimonies of its healing powers or words of praise and thanks.